Human form is the finest form on the face of Earth. It is attained by performing some good deeds and lots of TAPASYA in previous form and of course some bad deeds or unfinished desires gets attached along with the good deeds, So whatever happens in one’s life is a direct result of deeds good or bad from previous lives, sometimes we name it KARMA also. The whole purpose of this fine life is divided in four parts and those four parts are DHARMA, ARTHA, KAMA AND MOKSHA. Holy Scriptures says that one should maintain a balance in between these four. Out of these four DHARMA (duty towards family) and Kama (attachment and fulfillment of human desires) is under the controls of human being up to a great extent, and the other two ARTHA (the material to fulfill duty towards family and fulfill worldly desires and desires of SENSES) and the MOKSHA or the liberation from transmigration, getting out of the cycle of BIRTH and DEATH are in the hands of Lord Almighty, The Creator of the Universe or better known as GOD. Now the wisdom says that only the person who maintains a BALANCE, or devote almost equal times to these four aspects of life can achieve all goals, peace harmony, happiness in this and eternal life and can be liberated from transmigration. God clearly said “ I don’t like the person who has accepted a family life and have children and is sitting in my prayers or in a temple for 18 hours a day and not fulfilling his DHARMA towards his family” That’s what BALANCE is. In what family we will take a birth, how our childhood will be, how many siblings we will have , how our upbringing will be, what kind and level of education we will receive and the time and person we will get married to, and how married life will be and how many and what kind of children one will have, is all predetermined. Better known as DESTINY. Birth chart is the guide map of one’s life. It gives us very fair indication of how one will do in his or her life. The weak and strong areas in life, it can be slightly improved but cannot be changed, means the basic traits or characteristics of the person cannot be completely changed. The timing of events to occur in one’s life CAN NOT be changed. God or that Super Power has not given any human being (Astrologer) extra ordinary powers to peep into HIS affairs. 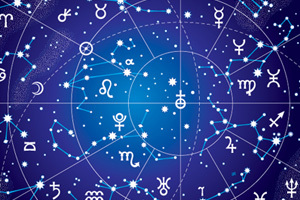 A very good and spiritually connected Astrologer can make very good GUESS based upon past, pattern or trend and the planetary position in one’s chart. As far as the REMEDIES are concerned, it’s a MYTH, when you are in trouble no so called Astrologer or GEMOLOGIST, or PUJARI or VAASTU CONSULTANT can change your life or remove what GOD has in store for you. They all have a selfish motive of getting more money out of you in your hard time. I wish it was that easy to change DESTINY, I would not be working but relaxing on a nice beach with BEAUTIFUL VIEWS and a glass of some nice cold drink in my hands. Now the big question is how and who can change your destiny, or even destiny can be changed or not ? The answer to this big question is YES. A REAL SAINT OR REAL GURU , to be honest with you all, that is a RARE commodity in this MATERIALISTIC and SELFISH World GOD Bless and help you all.